The Microtech D.O.C. 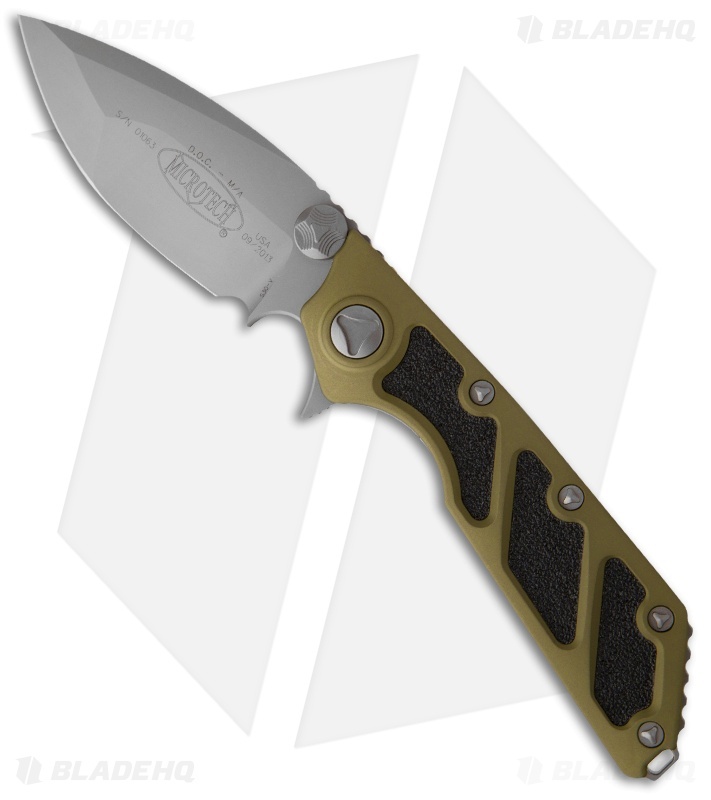 Flipper is a manual action folder from Microtech that harnesses the design genius of Anthony Marfione and Mick Strider. It features a green anodized 6061-T6 aluminum handle with traction inserts. The blade is a spear point style with unique bevels that put more steel at the tip. This knife opens using the flipper and feels comfortable in grip with an index choil below and jimping up top. This model features a bead blast finished blade with a plain edge. Green anodized aluminum handle with bead blast finished hardware and pocket clip.